MARY Jackson has never been afraid to speak her mind on issues or push boundaries as a woman in business, but don't call her a feminist. "Absolutely not, '' Mary says. After almost half a century fitting Coastal women into their bras, the well-known corsetiere is reluctantly calling it a day at 65. She nominates the late 1960s and early 1970s as probably the worst fashion era of her working life. "When women were burning bras it was the worst thing for their breasts because there are no muscles in breasts, '' she says. "They might have been burning bras, but I can tell you most were still wearing them. Mary's career in lingerie started in 1964, at sweet 16, and her first job was in Fitzgeralds' corsetry department. "I was fortunate to be trained by one of the best corsetieres Shirley McGaffin taught me everything I know, '' she says. Mary was three and the youngest of the three Demeijer siblings when her family emigrated from post-war Holland to live at Penguin. The written history of Dutch settlers to Penguin shows the significant contribution they made, particularly in retailing. 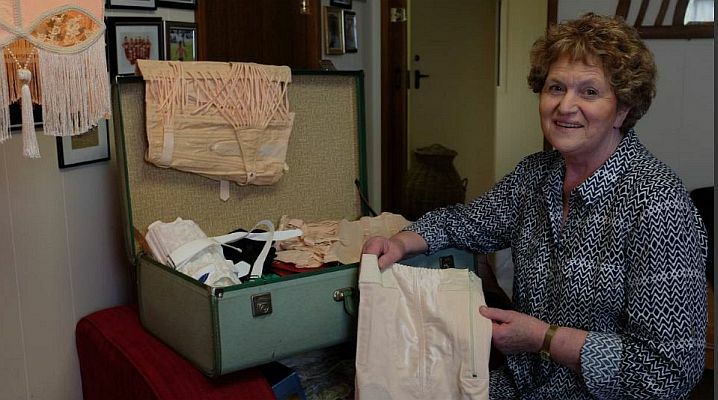 When Mrs McGaffin taught her about the undercover art of girdles, corsets and bras, the most important thing was to learn how to measure and fit. Lingerie can be tricky business and Mary took the embarrassment out of it. She would have seen it all, but never tells. "It is grounds for instant dismissal to speak about our women, '' she says. Many women didn't know their correct bra size when they came in and had been wearing the wrong size for years because they were too shy to get fitted. It can be quite a revelation and brings tears when a woman puts on a properly fitted bra for the first time. "It's instantly slimming and gives a woman length and shape, '' Mary says. "At fitting school you learn no person is a textbook case. If a lady doesn't fit the mould, I know what she needs and can help her. "A lot of women are so grateful. That's why I love my job.'' Mary remembers the days older women still wore Lady Ruth corsets, pink with a busk front. 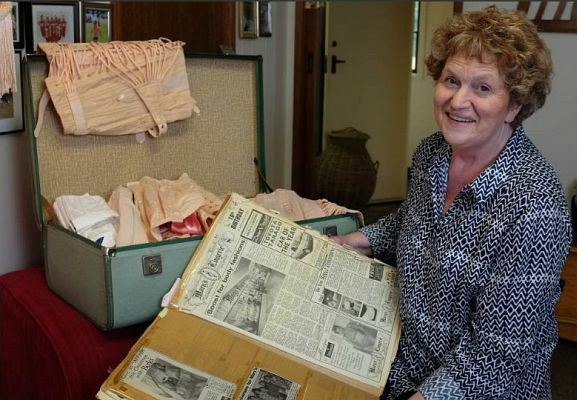 Her own bridal trousseau in 1965 was daring and expensive. "I had a Hickory bra with what we would call today a decollate neckline with a pushup it was really out there, '' Mary says, her laughter again filling the room. "It was top of the range at $6.95. The longer version at $8.95 was very expensive.'' Six months after Mary had her son David, she went back to work at Fitzgeralds, where she stayed until her husband Kevin opened a butcher's shop and she worked alongside him. Mary took over as Fitzgeralds' head of department after her mentor retired. "I worked there again from 1973 to 1979 and the biggest thing I remember is Berlei brought out the first colour co-ordinated range, '' she says. She was headhunted by Farmers in Burnie before she decided she couldn't see room for further advancement. 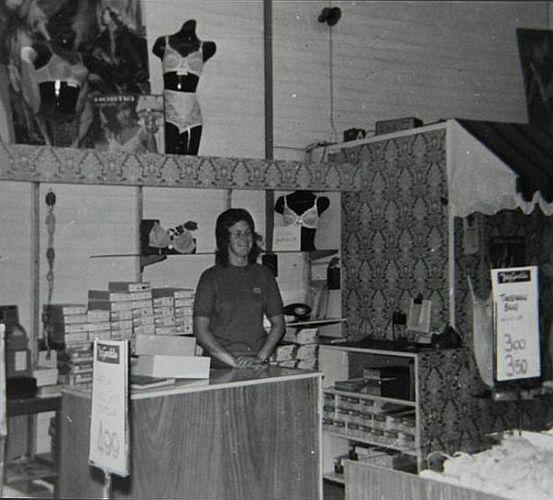 Mary's Lingerie opened in Brownwell Place Arcade in 1981 and the rent was $35 a week. It has always been a family affair, and Mary says she could not have sustained the business without the input of her husband and children. "Our kids grew up around boxes of bras, '' she says. Mary's Lingerie moved to the Plaza Arcade and Wilson Street before opening in Wilmot Street. For 13 years she ran a second store in Devonport. The Jacksons also had a party plan business and were sleepwear manufacturers. Mary has seen many changes but kept her core business and point of difference (fitting women properly) the same. In tough times and as cheap bras invaded the market, she stuck to her guns. "We have 7500 customers in our files, '' Mary says. "The biggest change I've witnessed is how women were not prepared to be trussed up anymore they wanted to be comfortable. "In our words, their undergarments were just to hold the flibbity bits in. "The bust is back again now and women still want lingerie to be pretty, but it's about comfort. "When lycra came out it was a big change for comfort along with stretch lace and we got rid of rubber elastic, which was hideous. "What amazes me the most is when I first started the biggest cup size you could buy was a double-D and now we sell up to J cups and can access bigger. "The good thing is they are finally making pretty bras for larger ladies.'' For those women with less, there are bras with 200per cent boost. "If you are an A cup, I can make you a C cup, '' Mary says. Customers she fitted with their first bra have gotten married, had children and are now bringing in their granddaughters. "I've been here too long, '' Mary says. "But I've loved it.'' It has been a tough decision to sell. "This is my baby, '' she says.